Originally known as the Wisconsin Home and Farm School, Lad Lake was established in 1902 as a place where troubled and neglected boys could acquire the strong values of personal responsibility and hard work and get back on the right track. Today, Lad Lake is still guiding growth on those original 367 acres of land. This project is one of the facilities on their expansive campus. 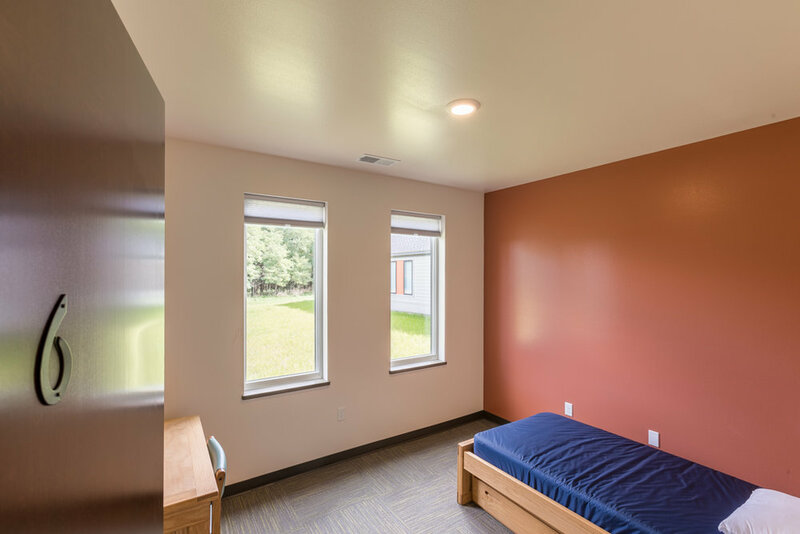 This residential facility is comprised of 2 wings, each with 6 bedrooms, a community bathroom, laundry room, living room, recreation room, dining room, sensory room and storage. 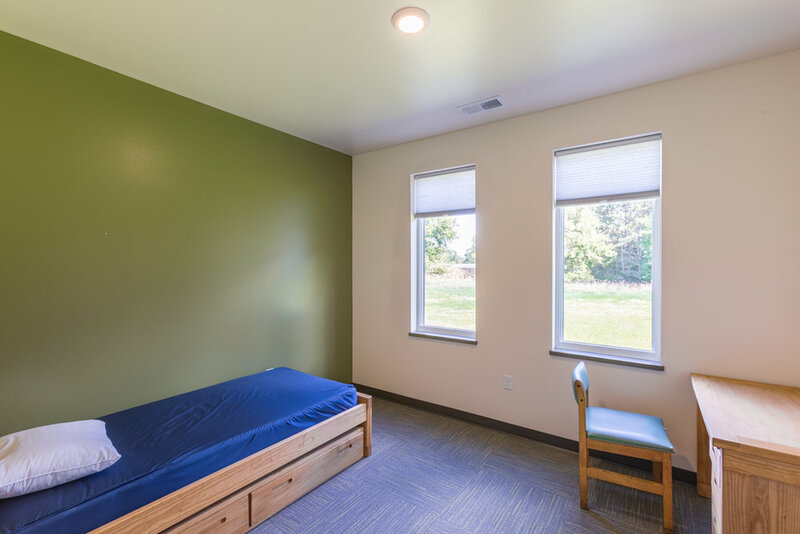 Shared use space includes a reception area, conference room, 2 meeting rooms, office, medication room, restroom and kitchenette.